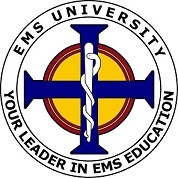 The EMS University 24 Hour Refresher Course Meets NREMT Requirements for Recertification. Does your course meet San Diego County EMS Authority (EMSA), requirements for recertification? I'm from out of state or hold certification in a state other than California. How do I become certified to practice as an EMT in California or to recertify my NREMT? How long after passing the course will I receive proof of taking the NREMT Refresher course? Does your course include Skills Verification, good for San Diego County EMT Recertification? My State/County certification lapsed. Can I get it back? How long is the NREMT Refresher course? Does your course meet San Diego County Emergency Medical Services Authority (EMSA) requirements for recertification? Yes, we are approved by the San Diego County EMS Authority and hold a current Continuing Education Provider Number. We are also accredited by the Commission on Accreditation for Prehospital Continuing Education (CAPCE) to provide NREMT refresher courses. CE hours are approved by San Diego County EMSA and CAPCE concurrently. Students will be issued a course completion certificate which works for both regulatory bodies. You can verify our credentials by visiting the San Diego County EMSA website and clicking on the CE Provider List. You can also verify our CAPCE Accreditation by visiting CAPCE and clicking on the "Providers" link. Yes, as a 24 Hour Emergency Medical Technician Refresher/Transition course as defined in the 2009 National EMS Education Standards, approved by the Commission on Accreditation for Prehospital Continuing Education (CAPCE), we meet NREMT requirements for recertification. Please be advised that the NREMT requires additional hours for recertification. You can get further information by going to the NREMT's Website. The state of California requires that EMTs certified in another state hold current NREMT certification in order to practice as an EMT in California. Our course meets this requirement. For assistance on recertification requirements in general, please see the San Diego County EMSA website, by Clicking Here. You may recertify as an California EMT by taking our Commission on Accreditation for Prehospital Continuing Education (CAPCE) Approved NREMT Refresher Course. If you are seeking to meet NREMT recertification requirements, you may use our course to satisfy the formal EMT Refresher portion (Section I). Our course is a 24 Hour Emergency Medical Technician Refresher/Transition course as defined in the 2009 National EMS Education Standards, approved by the CAPCE. Additional hours are required for recertification. Yes, students are provided with a Skills Competency Verification form good for recertification as required by the San Diego County EMSA. For lapses of 12 months to less than 24 months an additional 24 hours of CE for a total of 48 hours of CE is required and the applicant must pass the written and skills certification exam. For lapses of 24 months or more, the individual must complete an entire EMT course and successfully pass the written and skills certifying exam and apply with a local EMS agency for certification. Successful completion of the “EMT Skills Competency Verification Form” EMSA-SCV (07-03) is necessary for lapsed EMT certifications between 0 and 12 months. Click Here for More Information. The cost to take one course is $220.00. Also, please keep in mind that we promise the lowest price in San Diego for an EMT Refresher Course. In the event that you find a lower price, we will provide an additional 10% off the competitor's price. This way you receive the lowest possible price for your recertification. The process is simple... You can request this by using the live support chat button, emailing us at info@sandiegoemtrefresher.com or by calling us at (800) 728-0209. Be sure to include the email address, payment method, and the last 4 numbers of your credit card. We try to make it as easy as possible for you. We can email, fax or mail your receipt. The process usually takes 24 hours to complete. If you need it done quicker, calling or using the live support option are the best ways of receiving a rapid response.